Gold, Silver, Dow Jones, S&P500, US10yr, Crude Oil and USD FX. 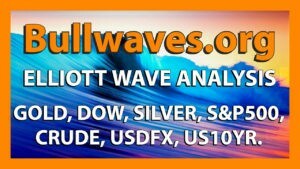 Get weekly Elliott wave updates straight to your inbox! Check out my Elliott wave Blog. Want to know how to use Elliott wave in your trading ?? ?